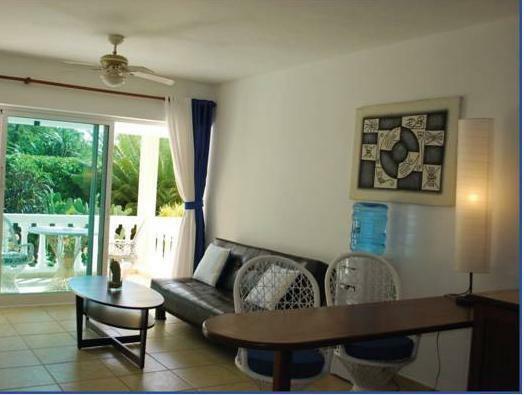 ﻿ Best Price on Bahia Residence Cabarete in Cabarete + Reviews! Located just 197 feet from Bozo Beach in Cabarete, this property offers an outdoor pool, a spa bath and sun terraces. Wi-Fi internet access is free of charge. The apartments at Bahía Residence Cabarete are air conditioned and feature flat-screen cable TVs, coffee makers and private patios. The bathrooms have walk-in showers and provide free toiletries. Within a 10-minute walk, guests at Bahia Residence will be able to find a variety of beachside restaurants and bars. The Bahia Residence staff can help guests with information about mountain biking, surfing lessons, kitesurfing spots and transport to the 27 waterfalls. 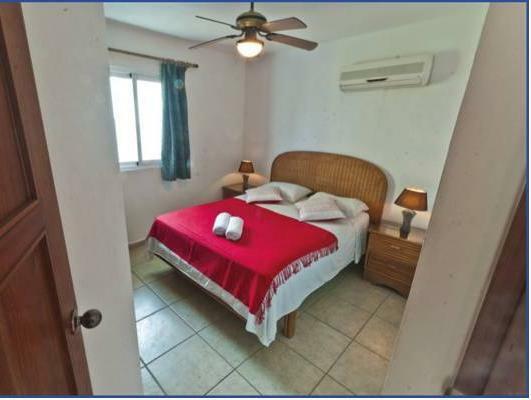 Central Cabarete is 10 minutes’ walk away from the property, while Kite Beach is just a 5-minute walk away. Puerto Plata Airport is 25 minutes' drive away, while Santiago Airport is 1 hour and 15 minutes’ drive away. If you expect to arrive outside reception opening hours, please inform Bahia Residence Cabarete in advance using the contact details provided in your booking confirmation. If you book an apartment with the promotional nonrefundable rate, the property will send you a PayPal invoice for the full cost of your stay (+ PayPal fees). This invoice is payable within 2 days. Failure to do so will unfortunately result in a cancelation of your stay. A deposit via PayPal (fees apply) may be requested to secure your reservation (see Hotel Policies). The property accepts both cash and payments using any major credit card through PayPal (fees apply). Please note that maximum occupancy of the rooms cannot be exceeded. More guests than allowed per room will not be accommodated. If you require additional beds, please request it prior to the check in. Children above the age of 2 are counted as adults. Please note that the property can not accept more people than the maximum capacity for each apartment. One child under the age of two can stay free of charge in their own cot in the apartment. Should you need a cot, the property can provide you one free of charge if given prior written notice and pending availability. This property does not accommodate bachelor(ette) or similar parties.